How to use it: It seems simple and intuitive. 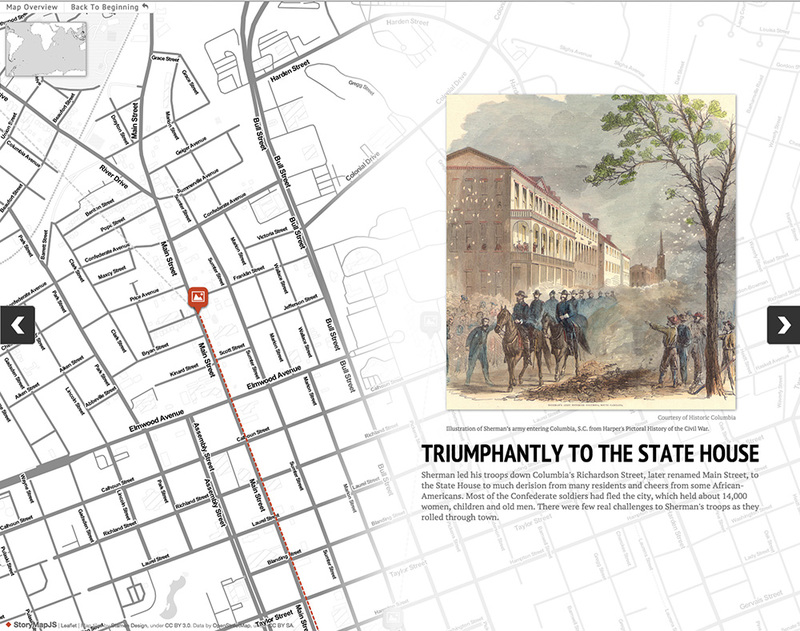 The landing page lets you click to start a Storymap. Each window will have an easy place to upload photos, add headlines and text, and pinpoint your places (via Google maps). Save that page and move onto the next one by clicking ADD on the left hand side. It mimics a Powerpoint presentation. Once you’re done, you may go back to edit it. Tips: — You must have a Gmail account not associated with work. That will allow you to save it and return to it. At McClatchy, we found our associated Gmail accounts didn’t work because of restricted access to associated images stored in Google Drive. — Your images can be loaded onto a web page and have a URL associated with it, or you can upload them via Google Drive. But they must be posted somewhere to work. — Hit Save often; and check out your progress by hitting Preview often — Add links when you can to archive stories. — Add an image to each point in your map. Makes it pretty. Advance work would include shots of the places along the way. — You can embed the map within a story, but check with your online folks to make sure it works on desktop, tablet and mobile. In our case, it’s worked well on all platforms. This entry was posted in Features news and tagged digital tools, features, graphics, journalism. Bookmark the permalink.